For this post to make any sense some personal disclosure is required first. I operate at the lower etheric levels in full consciousness and my dreams are lucid dreams. It the morning I sense what will happen at work to me during the day. This is common practice for me. Some might say that I have “second sight”. What I do is “see” things at near earth levels. Next scene I was down in the house with the others and these space brothers were standing in a group on one side of the room. While they were armed there was not a sense of danger, but a sense that these were part of a military force that was not a threat. They were human with auras like flames about their heads. A shorter, stocky person came out from their group and approached me fumbling with his/her helmet. This was the person able to act as interpreter between us. I do not feel at liberty to discuss the rest of the encounter. Later, another vivid lucid dream sequence where I found myself in a building with a group of people that seemed in an uproar. Apparently something had happened. I went outside the building and stood on a narrow side walk. Where the street had been was clear running water. Someone yelled that things were blocked off by these waterways and one needed to go quite aways to get around to other areas. In effect these were containment blocks. I saw one of my old friends among a crowd of people and he seemed to know what was going on but I was not able to make my way through the crowd to him. As I passed someone else they called out to me and asked if I had brought that part I was supposed to bring. That was when I remembered I had been sent on an errand. (Through all of this there was no sense of fear, panic, or anything wrong. It was more that some type of emergency or major event was being dealt with. There was a sense that the waterways were created by the space brothers.) This is basically the end of the dream series, but what does it mean? My conclusion is that our space brothers have indeed landed, are helping and perhaps in need of some help themselves. Our worlds have merged at the level these dreams took place. The areas of containment perhaps should not be called areas of containment because that gives the wrong impression. The impression was that the world was unraveling and sections were being held together collectively while attempting to keep some contact between them. So the holding of things together was a good thing and not a bad thing as members of each location held their own realities together. Perhaps they were timelines that had separated and were being held apart by the waterways? My sense was that it was important to hold as much together as possible and to make sure a connection was kept to other areas as well. I believe that we have passed through the eye of the needle and are now once more spreading out into individual/collective timelines and realities. All I am doing is sharing what I have seen/experienced. Take it as you will. The First Volume in the Frank Braun trilogy. 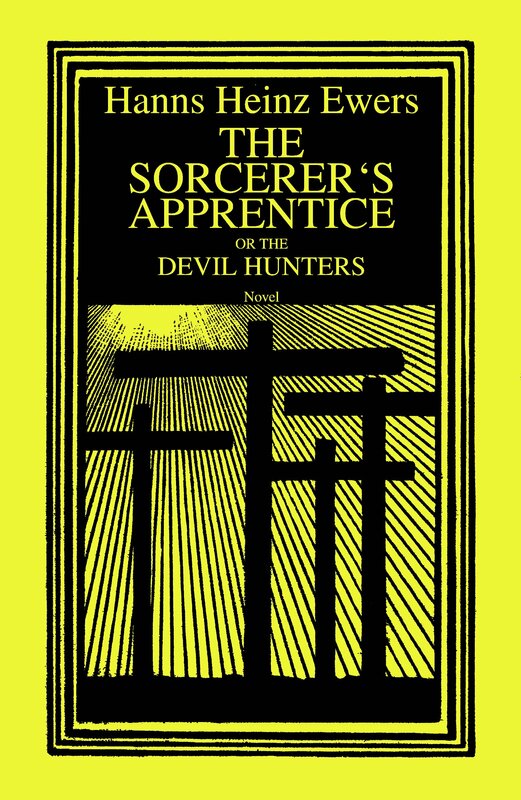 This is the first uncensored English translation of “The Sorcerer’s Apprentice”. It includes an Introduction by Dr. Wifried Kugel; the poems, “Prometheus” by Goethe,and “Hymn to Satan” by Carducci; “The Satanism of Hanns Heinz Ewers”, “Duality-The Male”, “Duality-The Female”,and “Duality-Sexual Alchemy” by Joe Bandel and the complete text of “Synagogue of Satan” by Stansislaw Przybyszewski also translated by Joe Bandel. For several years after writing “The Sorcerer’s Apprentice” Hanns Heinz Ewers gave highly successful lectures on “The Religion of Satan” which were based upon “The Synagogue of Satan”. His view of “Satanism” is highly different than what is popular today and shows that his belief in the future of humanity lies in the balancing of the male/female aspects within us and not in two eternal forces in opposition, good/evil. For him Satanism was the emancipation of women. Due to the extensive footnotes/endnotes and illustrations this will not be offered in epub version. The epub version has difficulty with both footnotes and large numbers of illustrations. On a side note, Side Real Press has the text prepared for “Hanns Heinz Ewers Brevier” which will also be coming out soon in limited edition through Side Real Press and regular hardcover at Lulu. More on this when it is available.